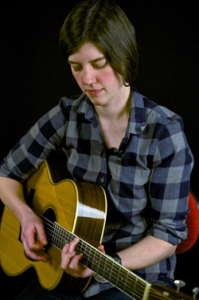 Bethany Waickman is a guitarist based out of Portland, Maine. She grew up in a musical family in the Adirondack Mountains of northern New York state. After college she spent some time traveling, hiking, and playing music in Ireland. Upon returning, she moved to Boston to focus on music. She co-founded the contra dance trio, Anadama, and is the guitarist for VT-based fiddler/singer Lissa Schneckenburger. Bethany has toured across the US, Canada, Sweden, Denmark, Belgium, and Germany. In 2013 Bethany moved to Maine and shortly thereafter started playing in an Irish music trio, Fódhla. She has been enjoying the Portland session scene as well as keeping in rotation in the New England contra dance circuit.